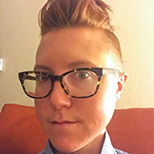 Mary Hable worked as a corporate sustainability analyst in the apparel and footwear industry for five years, most recently with Brooks Running Co. in Seattle, Washington. Since 2016, she continues to research and apply the concepts of sustainable change as a freelance writer and certified personal trainer. She holds a bachelor of science degree in applied economics of the environment and natural resources from the University of Minnesota and 200-hour yoga teacher certification from Seattle Yoga Arts.